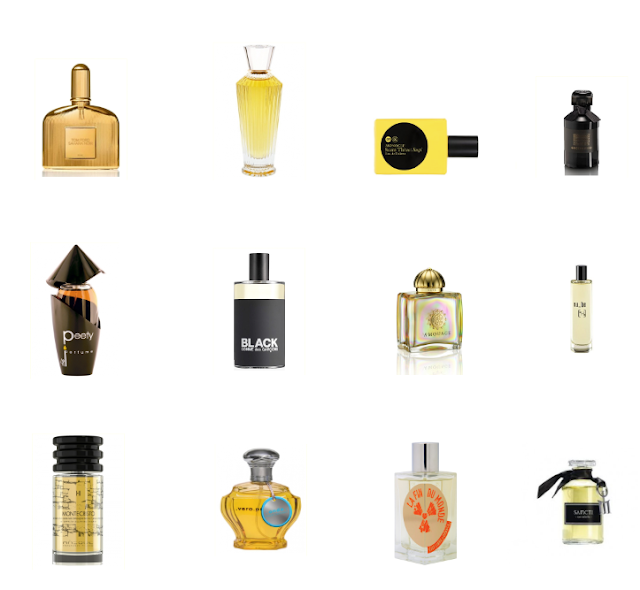 From my point of view, 2013 has been a pretty interesting year for fragrance. Some expectations fulfilled as well as some very interesting new faces. Italy has done its part with what, in my opinion, is probably the best fragrance of the year: Montecristo by Masque. A sweaty/animalic concoction of spices, booze, woods and thick animalic musks that strikes for its tremendous character and immense beauty. Incredibly evocative, comfortable and daring at the same time. From the same house, Terralba definitely deserves a mention as well. Completely a different beast from Montecristo but nonetheless outstanding in its peculiar rendition of sand dunes and italian coasts. Extremely aromatic herbs and woods paired to a transparent and salty vibe throughout. Endless wearability and a great all-rounder. Nu_Be, which is known for their sublime quirkiness applied to very practical fragrances, delivered two of their most interesting fragrances to date: Mercury and Sulphur. The former is a crazy and avant-garde concoction of sparkling aldehydes juxtaposed to a warm sandalwood base while the latter strikes for its subtle animalic character paired to green and assertive notes such as vetiver and costus. Beside all the controversy, O'Driù is still delivering pretty solid stuff and Peety gains a special spot in my list of recommendations for this year. A terrific spicy-woody-musky concoction that's vastly head and shoulders above the average quality available in today's niche offerings. French line Liquides Imaginaires introduces to a wider audience its former trio of fragrances Les Eaux-Delà enriched by a new series called Les Eaux Sanguigne. These fragrances, previously available only in very selected French stores, have been now re-launched also in user-friendly 100ml flacons of immense beauty. My personal standout is Sancti, a citrusy and sparkling composition built around a crispy frankincense base. Probably the most literal iteration of church-y incense to date. On more *popular* territories, Tom Ford's Sahara Noir setted up a new standard for incense-centered fragrances by introducing what's probably the most straight-forward incense since Norma Kamali's infamous Incense. Neela Vermeire has setted the bar so high with her former trio of fragrances and I've been more than glad to discover my expectations for her Ashoka have been completely fulfilled. A trustworthy follower to her previous Trayee, Mohur and Bombay Bling with an incredible evolution from the top notes till the drown. Pure virtuosism. Comme Des Garcons keeps on doing its own thing without disappointing. Both Black and Sugi have been two big winners in my book. The former is a viscous, and indeed dark, composition of incense, tar and unsweetened licorice which strikes for both its perfect balance and incredible versatility. The latter is probably my favorite in the Monocle series. A minimlisitc (as opposed to simplistic) concoction entirely based on bizarre synergies between few and pretty common ingredients that give birth to something absolutely novel. Kudos. I will close this list with two fragrances by two houses that haven't impressed me in a while. Amouage seems to have found his way back to the old glory by introducing Fate Woman. Humongous, bombastic and absolutely perfect. Gucci, on the other hand, delivered *Forever Now* to celebrate the Gucci Museo in Florence. A collaboration with master perfumer Lorenzo Villoresi. Probably not a wower at first but definitely a grower after some wearings. Leathery, woody and spicy with a smooth vetiver base and soft floral patterns. It took me a while to completely get it but it has slowly become a favorite for this year. Honorable mention to Vero Profumo for enriching its catalog with the Les Voiles D'Extrait versions of all Vero's previous fragrances. Fantastic options for anyone who loved her Extraits but prefer spraying over dabbing. Etat Libre D'Orange delivers La Fin Du Monde which strikes as an incredibly solid and easy to wear take on iris with *that* quirky twist that has become the house's hallmark. Perfectly unisex, perfectly sized, smooth and endlessly wearable. Great Choices. Good to see Liquides Imaginaires get a mention. Hardly any info on the internet about these. Out of their range, I thought Sancti and Fortis were outstanding. Did you try Fortis as well ? Thank you Chris. I tried their whole original series and liked all of them. Sancti was the one more *up my alley* though. I'm looking forward to their new Les Eaux Sanguigne* trio.